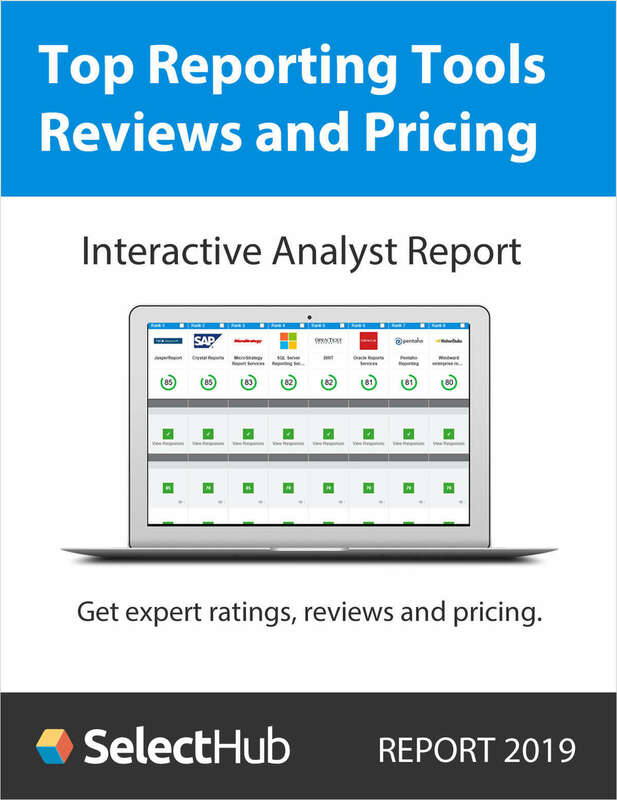 "Top Enterprise Reporting Tools 2018--Expert Reviews and Pricing"
Free Report: "Top Enterprise Reporting Tools 2018--Expert Reviews and Pricing"
Interactive analyst report gives you comparison ratings, reviews and pricing from actual software selection projects. By submitting this content request, I have legitimate interest in the content and agree that SelectHub, their partners, and the creators of any other content I have selected may contact me regarding news, products, and services that may be of interest to me. SelectHub determines qualification and reserves the right to limit the number of free offers.